I didn’t think I’d come back again but I’m pondering it now. I have a new job and a new role. While I’m still a registered social worker, I’m no longer working in the local authority and am no longer a practising AMHP. It’s been quite a journey over the past two years. While I’m pondering a return here, I have a low-key project I’ve just started running here. Feel free to join me and.. well.. watch this space. Thanks again for all the support and patience. It’s meant and means a lot to me. I don’t have any grand or notable memories from 11th September 2001. I wasn’t connected to New York in any personal way but this last Friday, after work, I spent the evening by coincidence with the friend whom I spent the evening of the 11th September 2001 with. We spoke about our collective and individual memories of that day. The interesting thing was how we remembered different aspects. She told me she remembered I seemed a lot more shell-shocked than her – but I’m getting a little ahead of myself. I wasn’t at work that day. I was about to go on holiday and was at my dad’s house. My dad was out so I was just pottering around between packing up things I needed (I’d been staying with him) and well, just enjoying not working. We’ve always been a family of news junkies and my dad had Sky (which I didn’t at the time) so I generally had the rolling news channel on as a default and indeed, I was watching the rolling news from the moment the very first news came in that a plane had hit the first tower. In fact, I was one of those people calling people I knew and telling them to put on the television because I couldn’t explain what I was seeing. So there I was, watching the live television pictures when the second plane hit the second tower, and when the towers collapsed and for all the aftermath. It happened as I was watching and honestly, I felt scared. It’s interesting to recall because of course the distance was so great but as I was watching the rumours starting about how many planes there were, where the planes were going, what was happening – or then the wackier ones (retrospectively) like Canary Wharf being targeted. My friend and I had been intending to go to the cinema that evening. We didn’t. I told her I really didn’t want to go out into central London. I can’t explain my feelings of the time. As we met this weekend, she said she thought because I had been watching the entire television coverage, I felt a greater immediacy and a greater link to what had happened. For her, she told me, they had been told at work and it didn’t quite seem real. Regardless it felt as if the world was a different place. In the end, we met in a small local restaurant and chatted. It felt somehow more respectful in an odd way. I’d been to New York about a year previously and had been up the Twin Towers – I’d got pictures of me standing at the top and bought some of the usual tat I return from holidays with at the gift shop up there. I thought about the people who would have served me and who smiled at me. Then I tried not to. I didn’t though have any personal connection with New York. I didn’t know anyone who lived there or who might have been involved in the destruction that unfolded. I wonder if it is the watching of televisual events unfolding that brings some of the tragedy closer and I wonder how that will impact on the ways that these kinds of effects have a greater terror when we see up close, the faces of people affected and relate to them. I know, the day that New York was attacked, I felt that we – myself, my country, the type of cosy life we had got used to, were under attack too. The world had changed. The world was a scarier place. As an aftermath – I spent some time in the Family Support Centre after the London Bombings on the 7th July 2005. When I was there I had a few discussions with those in the various local authorities who had co-ordinated the response for families and victims and pulled together a joint London protocol. Apart from the fact that there are lessons that how can said to have been learnt from the inquest, many of the initial lessons were learnt in discussion with colleagues in the United States about coordinating post-disaster/attack. The impact was more than local it was international. As for anniversaries, they are always difficult but today my thoughts are resolutely in New York, Washington and Pennsylvania – as well as those affected all over the work – just as they were ten years ago and many years in between. There is more than unites us than divides us. Please forgive the blatant self-promotion in this post but it’s Friday and I’m feeling a like I have a bit of a cold coming so I’m less ‘perky’ than usual. Dorlee from Social Work Career Development has published an interview which she did with me and it concentrates on what I do at work and some of the ways it differs from Social Work in the United States. Excellent work, if I do say so myself – but joking apart, it is a good way for us to learn about social work in other countries. Feel free to nose around as the whole point is to emphasise openness, conversation and working together on something that can be led by social work and improve social work without having a cost barrier to entry and that allows all who want to learn and contribute to do so. I’ve also added a very basic forum just to collect ideas. I don’t have any great desire to ‘run’ this project and if anyone with greater technical skills wants to volunteer them then please please do but it’s a start and I hope someone will – even if it isn’t me – because I think something that adds value to our collective, international knowledge base and moves learning out of universities and into practice will be a real ‘hook’ in convincing more practicing social workers to engage with social media and new technologies. Enough from me, the forum is here. Do join and share ideas. I’m disappointed that you are leaving BASW and, as head of communications for the Association and editor of PSW, I’m equally disappointed about your assessment of this magazine. BASW is fortunate that more members have been joining than leaving for some time now but retention is just as vital as recruitment so any loss is frustrating. Most members leave because their circumstances have changed – they might have lost their job, left social work or retired. On those occasions when someone contacts us to cite a specific issue for why they no longer wish to remain a member, someone from within BASW will usually correspond with them to at least try to respond to their concerns. Whether it makes any difference isn’t really the point – the main thing is to secure a grasp of what we’re doing wrong and how to do it better. Your departure, inevitably more vocal and more public, is no different except that it seems appropriate to respond equally publicly, given the platform you have employed to air your views. You cite BASW’s launch of the Social Workers Union (SWU) as the reason for now deciding to leave the Association. Clearly, the odd gripe apart, you are happy with your union and with your local representative. Fine. Really, fine, BASW has no intention of encouraging social workers who are happy with their trade union to up-sticks and join SWU instead. We hope members in this position will still reflect on the range of member benefits being part of BASW offers, and will want to be part of their professional association, but in no sense is it making a play to poach you and others like you from other unions. There are two reasons why SWU can be a good thing for the social work profession generally without impacting on the social work membership levels of Unison or any other union. Firstly, there are well over 40,000 social workers in the UK who are not a member of a trade union or a professional association, so have little of the security such membership affords a practitioner in need of support – from basic advice to prolonged representation. By no measure can this be a welcome fact. To date, a standalone BASW, acting solely as a professional association and without a union arm, has not attracted these people into membership. Nor too has any trade union appealed sufficiently for them to consider subscribing. BASW’s launch of the Social Workers Union offers these people something else, another option which some of them, just some, might choose to take. Secondly, and most pressingly, there is one significant factor in BASW deciding to establish SWU that shouldn’t be ignored. A number of local authorities were increasingly unwilling to allow our Advice & Representation officers to attend internal disciplinary or conduct hearings. Although in contravention of ACAS guidance, this was leaving some fee-paying BASW members without access to the sort of expert representation they were entitled to have. The ACAS guidance, it would seem, is just that, and if you are not a trade union then you don’t have guaranteed access to represent members with employers in the way we would want. By launching SWU, for no extra cost to members, we ensure, among other things, proper protection for local authority staff. This has to be a good development for social workers. And let’s be very clear about which social workers. You describe BASW as ‘less relevant to me as a local authority social worker’ and ‘focused on either students and newly qualified social workers or independent social workers’. Yet SWU is, more than anything else, about ensuring we can support local authority social workers fully and properly in the increasing number of cases we are sadly being presented with where members are being poorly supported by employers. You do allude to something very interesting though on the issue of how BASW represents local authority social workers and where we can do better. You suggest that the one thing you would really welcome is the chance for informal social networks – ‘safe’ places, physically and virtually, where like-minded people can discuss the future of social work. It’s a very strong concept and one BASW has recognised but could do far more in developing. In this instance it is fair to say that we have gone much further down this road with independent members than local authority workers, as illustrated by the number of very successful independent groups holding regular meetings around the country. These aren’t controlled propaganda exercises – BASW staff usually only attend the first meeting to help get things off the ground – but informal meetings of independent social workers which BASW helps facilitate and that participants themselves then take forward. We have staged a host of ‘tours’ within all UK countries over the past three years, many of which proved to be useful two-way discussion sessions, but facilitating networking groups within local authorities would be a good step for our members and should be explored further, and soon. One of the most notable aspects of your blog, and the one I felt most keenly, was your assessment of PSW magazine. In particular, you referred to ‘pages and pages of propaganda’ and that there is ‘no space at all for any kind of dissenting or alternate views’. I will respond to this at some length but in brief I do not feel this is an accurate assessment of this magazine or BASW’s approach to dissent. I have worked for a trade union where the members’ magazine became solely a propaganda device, where every editorial item was utterly patronising and where opportunities for dissent gradually dissolved to the extent it was untenable for me to remain with that organisation. I don’t miss it and I wouldn’t go back into that same environment or remain in an organisation that developed such a mindset. BASW is not that kind of organisation. Not even close. Look at page 11 of this month’s PSW and you can see that one of the three letters is a direct attack on the magazine for publishing an article the correspondent loathed about lessons to be learnt from the Baby P case. I might disagree with the contributor but his was a valid member’s view which we published without hesitation. Go back to March when we published a double page spread of comments posted by members online after BASW launched its own College of Social Work (as you will know, the name has since been dropped as BASW and the SCIE-sponsored College work to establish a single organisation for 2012) and you will see two sharply critical views and one far from convinced about the move. As a proportion of the 200 or so responses we received online this wasn’t just a fair reflection of dissent, it actually represented a higher proportion of opposing opinions than were actually posted. Go back even further to the fall-out from BASW’s decision in early 2010 to hold a referendum of members on the kind of college members wanted to see. We carried letters from one BASW Council member who had resigned and another from a member at the end of his term, both of which were sharply critical of any move away from the SCIE college. No censorship, just publication. It may surprise you but we actually don’t get a massive postbag of alienated members wishing to air their ire. Far more correspondents focus on something specific they have read, respond to requests for comment on a particular topical issue or, to my inevitable frustration, highlight minor errors of fact or grammar. As for ‘reams of pages about how important BASW’ is, this is a tougher one because to some extent you have a point – we didn’t used to highlight the Association’s work that much in PSW at all. And people would complain that they didn’t know what BASW did. People used to wonder why they were paying their membership fees if BASW wasn’t more publicly prominent, more vocal about the issues that mattered to them. BASW is definitely more assertive, more opinionated and, sometimes, more bolshy and for a lot of members that is a good thing. Now, should that entail using the magazine for endless self promotion? No, in my view it should mean members get to read what BASW’s position is on key issues, whether on the riots in England, adult protection laws in Scotland, funding cuts in Northern Ireland or a consultation document on the future of social work in Wales. As a monthly title PSW can’t present you, in print at least, with the very latest news, but it can reflect on the past month’s developments by offering the facts and adding a BASW view. This doesn’t change the facts but it does enable members to see what BASW is lobbying for, using the membership subscription fees they pay each year. News is only a small part of the magazine though, so too is The Chief, where the chief executive is free to write what he wants to the BASW membership. Elsewhere you can read content including features, book reviews, advice columns and interviews, none of which offers a BASW view or seeks to evangelise. Incidentally, though not without relevance, 345 members replied to a survey on our communications output in early summer and 92% said PSW was either a welcome or very welcome member benefit. It’s not scientific and there are plenty of members who haven’t expressed a view but it’s not a bad statistic considering it is an anonymous poll and I haven’t stood behind anyone’s back twisting their arms. And just to go back to the issue of self promotion, only a couple of days ago, after reading your blog, I noticed a comment within a Guardian story about research it was co-sponsoring into the causes of the riots, in which the editor-in-chief waxed lyrical about the ‘great strides in the field of data journalism’ The Guardian was continuing to make. Possibly true but certainly self promotional. BASW is an active, growing organisation that is constantly developing new services. We need to talk about this if we are to sustain our growth as, to borrow from your blog, there is ‘strength in numbers’ and the more members we have the more we can represent the interests of the social work profession – whether you are a student, local authority worker, independent or anyone else. As for those Annual General Meeting numbers you wanted. Around 230 people attended the Practice Symposium in the morning and 164 remained for the actual Annual General Meeting. Of these, 134 supported the launch of SWU, 21 opposed the motion and eight abstained. Proxy votes totaled just nine, with five opposed to the launch of SWU and four in favour. Would we like more members to take part in the decision about the future of their organisation? Absolutely and we are trying to learn lessons from our attempts to promote the AGM in May. Several advertisements and e-bulletins actually attracted the biggest turn out at a BASW AGM in my time at the Association, around five years, but we must continue to try and up the numbers further as clearly those who attend the event are clearly a minority of our overall membership – though this isn’t particularly unusual for any union or association. Considerable effort will be made to alert members to the next opportunity to shape the future of BASW on 1 November when an Additional General Meeting in Birmingham will be asked to determine whether BASW should transfer its assets into a new College of Social Work. This will commence in earnest once BASW Council meets on 21 September to consider the latest position ahead of the Additional General Meeting. A truly national health service as conceived in the post-war years has been tottering on the brink for a number of years. As the previous Labour government sowed, so the Liberal Democrats and the Conservatives will reap today as the NHS and Social Care Bill reaches its last stages in the House of Commons and the Conservative Party institute their idealised version on a market-led health service which will deliver profits into the hands of investment companies and will place efficiency above effectiveness in treatment delivery methods. Yes, I feel bitter, very bitter. I don’t see the Labour Party hauling us out of the mess that the both the Liberal Democrats and the Conservative Parties have conspired to leave us with because the Labour Party in their previous guise very much laid the groundwork for this to be done. I find it hard to believe the audacity and the incompetence of our political elite as they push through a hugely unpopular bill tonight but then, as I pause, I wonder if it is truly incompetence as they are ‘getting away with it’. We have been confused by details and have been tricked into believing a ‘consultation’ process has taken place. It has taken place very much on the government’s own terms and the listening that has been done has been very selective. I try not to have a blanket opposition to the ‘private sector’ and ‘profit-making’ in the health and social care sectors but I’ve been burnt by experience. There are some companies that may well be able to improve some aspects of service delivery and I completely accept we all need to move away from the blind public/private being good/bad depending on where you stand on the political spectrum. That’s quite hard for me to ‘get my head around’ as I feel instinctively that profit should not be made from ill-health but equally the government’s obsession with public being bad is equally short-sighted and damaging. What really sticks is the way that Cameron has blatantly misled the country in the quest for votes. ‘No top down reorganisation of the NHS’ he said, lying openly to the nation and yet we have to accept the mishmash garbage that he is now leading through Parliament as the Health and Social Care Bill and it moves towards it’s Third Reading in the House of Commons today. I feel angry at the way that language has been turned and stolen from us. ‘Choice’ has become a catch-word but as I have discovered through the ill-spirited and contemptuous way that ‘individual budgets’ have been delivered in social care – choice mostly a luxury of the ‘worried well’ or the more affluent middle classes – in whose ranks sit all those MPs who vote on these changes today. Choice means very little if you are not in a group that can cost a company money rather than increase their profits. We have been hoodwinked into believing that ‘choice’ will genuinely exist when these private companies rip up our public services to deliver profit to their shareholders? I think we should ask whose ‘choices’ is it that the government and the health companies that support then, they will be? Let me turn to the social care sector again because that’s an area I am familiar with. I am very familiar in the ways that privatisation has worked or rather, not worked and the way that ‘choice’ has been promoted – falsely – as the achievable outcome for all end users. The pushing of the public sector from social care delivery has decreased ‘choice’ in many instances. 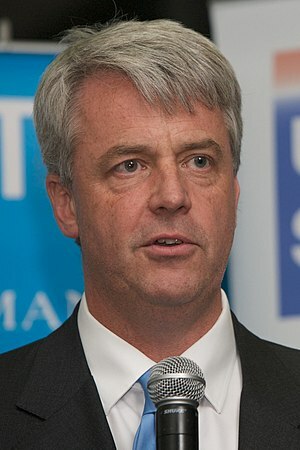 In the areas I’m familiar with, local authorities have been pushed out as providers of residential and home care services to be replaced by companies such as Southern Cross (RIP), Bupa, Care UK (always worth repeating that they donated to fund Andrew Lansley’s private office) and homes have closed, block contracts have been signed to provide care at the cheapest costs which increases profits for the private companies of course and limits choice for individuals who need these services. Anyone who claims that the roll out of personal budgets has or will change this and has increased ‘choice’ I will point to those who have capacity issues – those without family or friends to support them – those who are more marginalised have far fewer choice than the ‘mainstream’ who are able to engage in the process and that suits the government and the propaganda machine just fine. That is what I fear for with the Health Bill (I am not sure why it’s even called the Health and Social Care Bill as Social Care is so obviously a troublesome ‘aside’ for the government). Choice may well be nice for making decisions about which hospital is most convenient for a scan but what is being done to assist, support and advocate for those who are not able to make choices? We are all in this together? Really? I doubt it. As for me, I’m off to the vigil outside the Houses of Parliament tonight with my local Unison branch. The TUC have also organised an ‘online vigil’ to oppose the passage of this Act. And then.. to the Lords. But I will take careful note of the voting as it happens tonight. And I won’t forget.